Author TristanPublished on May 22, 2018 May 22, 2018 Leave a comment on Hitch-Hiker Vigilance! 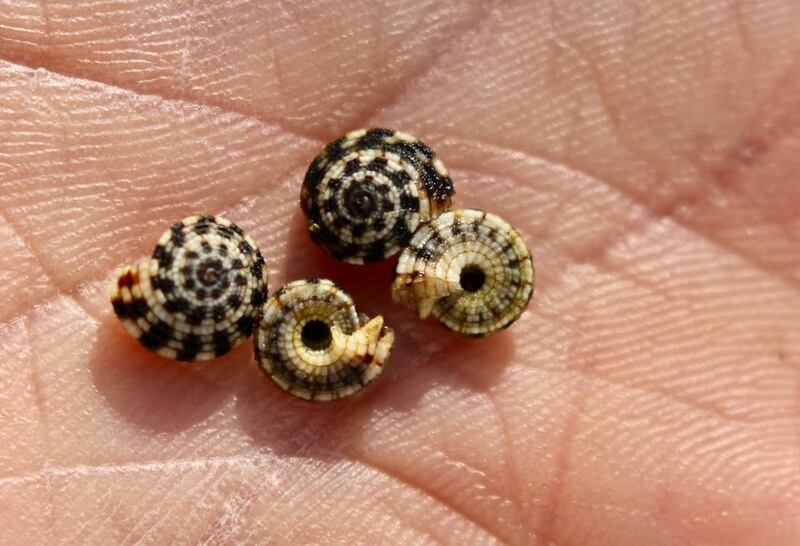 These little beauties are Sundial or Checkerboard snails from the genus Heliacus. Measuring less than 10mm in diameter they are rather beautiful and yet, in the wrong context (i.e. not on the reef but in your aquarium), they can prove to be a nightmare! Arriving as hitchhikers on the very food that they consume with relish Heliacus snails consume Zoanthids (zoas) and their relatives. In this instance they arrived on a colony of Parazoanthus sp yellow button polyps. Sometimes they can be easily seen nestled in and amongst their food but these chaps (from a single rock) needed closer scrutiny before they were spotted. Having said that, they are hardly master of disguise! Note the operculum (the covering of the shell opening) shape of these snails- it's conical and has pronounced ridges - almost like the whorls of a horn. That's typical for this genus and a handy way of identifying them if you have any doubts about what you are dealing with. Sometimes these snails resist dips and so all new colonies of zoas, palys and their kin should be checked over before stocking into the aquarium. Next article:Spontaneous decisions can be the best! New Tropic Marin Miracle Product! Spontaneous decisions can be the best! All rights reserved © 2018 Cheshire Aquatics.